1 Who is Milo Yiannopoulos? 6 What is Milo Yiannopoulos’ Net Worth? Born Milo Hanrahan on the 18th of October 1984, in Kent, England, Milo Yiannopoulos, also known by the pen name of Milo Andreas Wagner, is a Caucasian political commentator, journalist and author of Irish, Greek and Jewish descent. He is perhaps best known for being the self-described ‘cultural libertarian’ in the position of senior editor for “Breitbart News”, where his words and opinions have attracted significant publicity. Other than that, he has made various appearances in the media, both personally and through his writing, during which he frequently makes extremely controversial statements. He has been active in the sometimes lucrative writing business since 2007. Born to a half-Greek and half-Irish father and Jewish mother, Milo doesn’t seem to have had a very happy childhood. 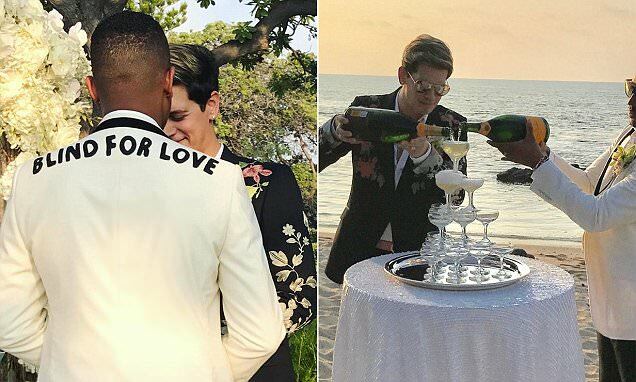 According to his own words, his father wanted to divorce his mother while Milo himself was in the womb, and although this didn’t happen, they did divorce six years later. Milo goes on to describe his father as ‘terrifying’, additionally remarking ‘I would think if my dad is just a doorman, why do we have such a nice house? Then I saw it on “The Sopranos”.’, which would signify Milo was born to a man with an obscure and likely illegal profession. After the divorce, his father moved to St Ives in Cornwall with his new wife from Jamaica. His mother also remarried at some point, and Milo was thus raised by her and his stepfather, who, according to Milo’s words, would often exert physical violence on the minor. It is likely that this kind of upbringing influenced Milo’s psyche negatively, as he was expelled from his first school, Simon Langton Grammar School for Boys in Canterbury. He eventually attended University of Manchester, but he dropped out at some point, after which studied for a degree in English at Wolfson College of Cambridge University, but he was expelled again. Milo first started writing for “The Catholic Herald”, taking an interest in being a theatre critic at the time. However, the interest that truly bore fruit in his early career was that in technology journalism, at which point he investigated and reported on the subject of women in computing in 2009 for “The Daily Telegraph”. Throughout the years that followed, as Milo’s popularity grew, he started landing more promising jobs as a journalist and writer. In May 2014, he was seen on “BBC Two’s Newsnight” alongside the rapper Tinchy Stryder, on which he shared his opinions on copyright infringement and music piracy, while in March 2015 he had screen time in “The Big Questions”, making remarks on various topics related to feminism and anti-male discrimination in the UK. As his words reached far and wide and built his name, five months later he was placed in charge of the “Breitbard Tech” section of the “Breitbart News Network” website. He remained employed here until he resigned on the 21st of February 2017. Around the middle of the same year, he launched “Milo, Inc.”, a media outlet designed to destroy political correctness, as Milo himself explained it. Milo is generally known as one of the most controversial celebrities – he has thus far addressed almost all of the generally taboo subjects, including gay rights, feminism and even pedophilia. Although often negative, all of these statements have surely contributed to the fame he nowadays enjoys. Firstly, he stated that ‘gay rights have made us dumber’, even though he himself is openly gay. The reason for this, according to his words, is that ‘homosexuals have been massively over-represented in history’, and he went on to add that ‘gays should get back in the closet, since being gay is aberrant and a choice guaranteed to bring gays pain and unhappiness’. Milo has made numerous remarks about his affection for African-American males throughout his career. It is then no surprise that he eventually married one, specifically a man named John with an as of yet unknown surname. The wedding took place in September 2017 at the Four Seasons Resort Hualalai on Hawaii’s biggest island, with the face of his partner seemingly covered in all of the wedding pictures, further shrouding his identity in mystery. What is Milo Yiannopoulos’ Net Worth? Have you ever wondered how rich Milo Yiannopoulos is, as of early 2018? According to various authoritative sources, it has been estimated that the current total of Milo’s accumulated wealth is close to $15 million, largely aided by his numerous successes in the news industry, the greatest contribution coming from his long-term controversial presence in the media. As his career continues to develop, the said amount can be expected to increase. Concerning the physical attributes of the aspiring writer, it is reputed by various sources that his height stands at 6ft 2ins (1.88m) and the writer’s body weight is 136 lbs (62kg). His body type is generally described as slim, while his hair color is brown and his foot size is 14. Due to the major influence of social networks, it is nowadays a regular thing for active writers to nourish a close and active relationship with their fans, for the sake of increasing the popularity of the news companies they’re working for, and thus their own net worth. Milo himself seems to be a major subscriber, if not the leading example of this trend, as he is quite ubiquitous on most social media networks. First of all, his Facebook account currently has slightly over 2.5 millon followers, while his Twitter account did enjoy massive popularity at some point, but received a permanent ban mid-2016 due to Milo’s apparently extremely controversial remarks about various supposedly taboo subjects. Last but not least, his Instagram account is actively followed by a significantly smaller 350,000 fans at the moment.